Did you know we have a large selection of beautiful jewelry? We have items to suit any budget, and flexible layaway options. 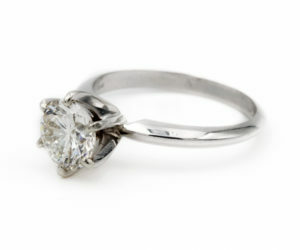 Look at this gorgeous engagement ring at our Denham Springs location! 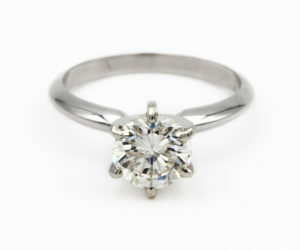 It is an approximately 1.47 carat round diamond mounted on a brand new 14 kt white gold band. It is currently a size 6.5, but it can be altered by our jeweler. This ring will include an appraisal. Who would say no to this? ?